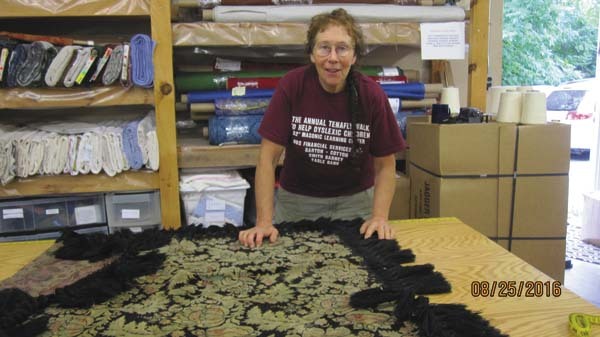 MAYFIELD — The Mayfield Historical Society will display its new summer exhibit at the Rice Homestead titled “The Fabric of Rural NY: 18th and 19th Century Textiles” from 12 to 4 p.m. on Wednesdays and Saturdays at 328 Riceville Road. In honor of the 250th birthday of the Rice Homestead’s original owner, Oliver Rice, who was born July 15, 1768, the society is exhibiting the textiles that have been donated over the years and date from the 1700s to the 1800s. Quilts and woven coverlets, as well as knitted and needle-pointed items will be on display throughout the home. The textiles illustrate how households in the 1700s and 1800s raised their own sheep, spun the wool, and wove the wool right at home or brought it to a professional weaver to make their needed household items. Featured are coverlets from the Oliver Rice family as well as a loom dating to 1779. Rabbit Goody, owner of Thistle Hill Weavers and textile expert, assisted in curating these textiles. For more info, call (518) 332-0538 or visit www.facebook.com/ricehomestead.